Garrett Middle School (7th and 8th grade) athletic teams raised money from Pink Out games and made a donation of $1,000 to Francine’s Friends. 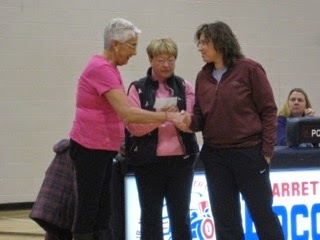 Athletic Director Julie DePew presented the check to Sharon Simmons and Judy Springer between the 7th and 8th grade girls basketball games at Garrett Middle School on Monday, March 2nd. 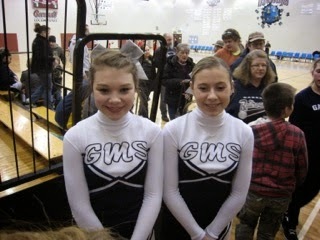 Cheerleaders Reese Furnish and Calista Grindstaff represented the school. Tonya Weaver, Garret-Keyser-Butler Director of Admin and Innovation was the coordinator for this presentation.